One of the nation’s leading auto insurance providers has admitted it doesn’t know how it would survive a widespread proliferation of driverless cars. In its 2015 annual report, filed Friday, Allstate addressed increased interest in both telematics and autonomous vehicles with caution. 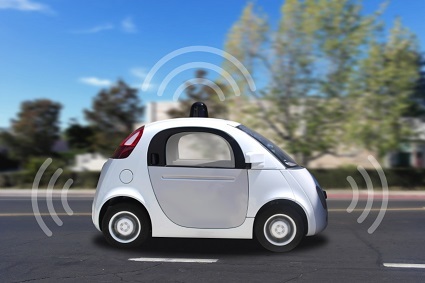 Driverless cars are still few in number – and relatively high in accident rates – but the technology is rapidly advancing, and many analysts predict the technology will be seen on the roads in large numbers by 2025. The auto insurance industry, unsurprisingly, stands to lose greatly. Yet few carriers have taken action to adjust their business models, a late 2015 survey from KPMG shows. The report found few carriers had taken action, but not because they doubted the possible ramifications, but because most believe the change will happen far into the future, if at all. It found 84% of executives don’t expect autonomous vehicles to have a significant impact on their businesses until 2025 while 42% expect a significant impact in 6-10 years. Many executives also believed the government would slow the introduction of autonomous vehicles, which KPMG says may explain why the insurance executives see a more distant effect on their business. However, the views were not in line with KPMG’s own stance, with the report’s authors stating that change would happen faster than most in the insurance industry think. “No one has a crystal ball that can predict the future, but we are convinced that a period of unprecedented change has begun,” Jerry Albright, principal in KPMG’s Actuarial and Insurance Risk practice said.